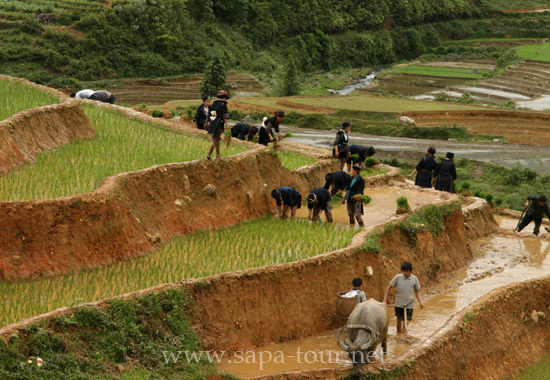 Exploring Sapa and Halong bay by road by 4 days tour promise to bring memorable time for you. 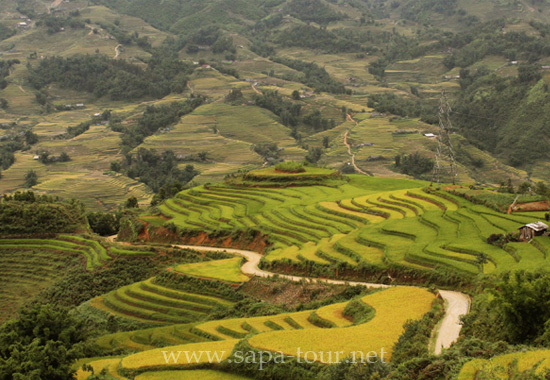 This tour will take you from the mountain to the bay to discover the life style of the hill tribe, the terraced rice field in Sapa as well as the world heritage sites of Ha Long bay. 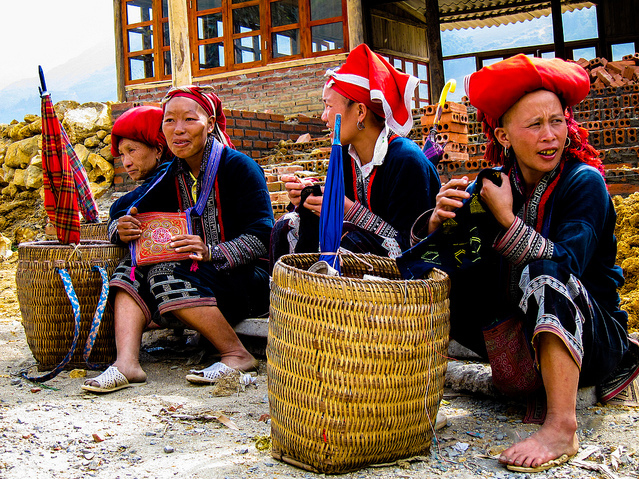 01:00PM: Arrival Sapa, enjoy lunch at local restaurant then we embark on a lovely walking tour to the hill tribe village of Cat Cat, home of the H'Mong hill tribe minority people. 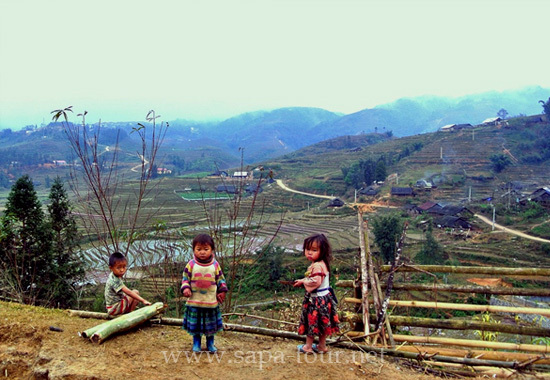 As we walk to the villages nestled in the valley below Sapa we will meet some of the local minority people on their way to and from Sapa. 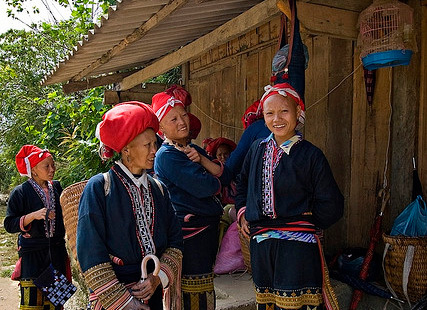 Here we have the opportunity to share cultural experiences with families that live in the area. 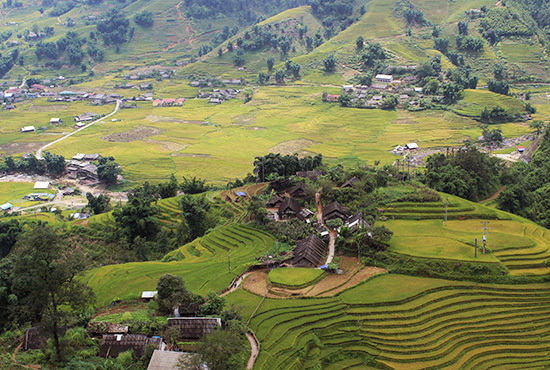 02:30PM: Driver takes you back to Hanoi. 08:00PM: Arrive in Hanoi and overnight at hotel. 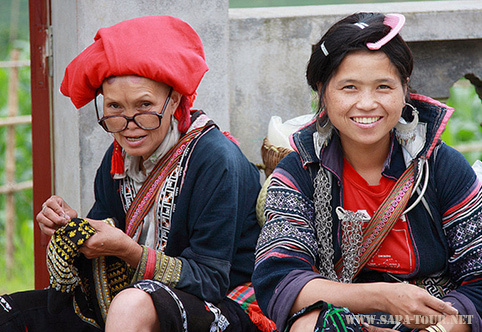 08:00AM: Transfer to Halong Bay, listed as a World Heritage Area of outstanding natural beauty. 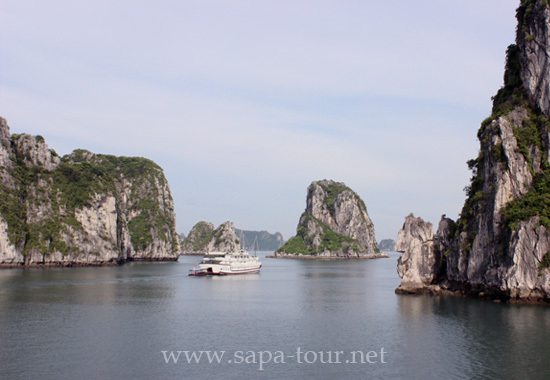 "Dragon descending to the sea" as it is known in Vietnamese, picturesque Halong Bay has more than 1.000 limestone islets rising from the sea, many of them containing beautiful grottoes. 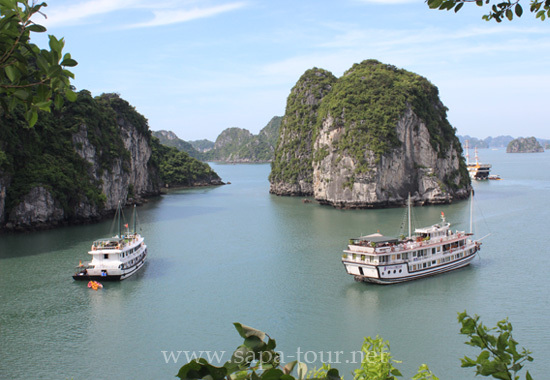 Upon arrival at Halong Bay we embark on a boat trip to cruise discovering this magnificent UNESCO World Wonder. 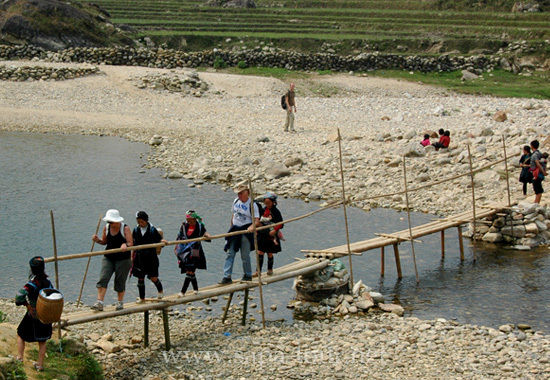 This is a great journey among surreal islands rising from a tranquil emerald sea. In the late afternoon, we anchor for the night on the bay and enjoy a delicious seafood dinner on board. Overnight on a junk boat in Halong Bay. 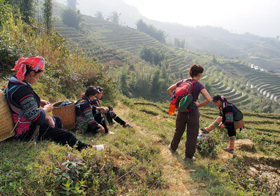 Early morning coffee and tea will be served on the sundeck followed by a Tai Chi class. 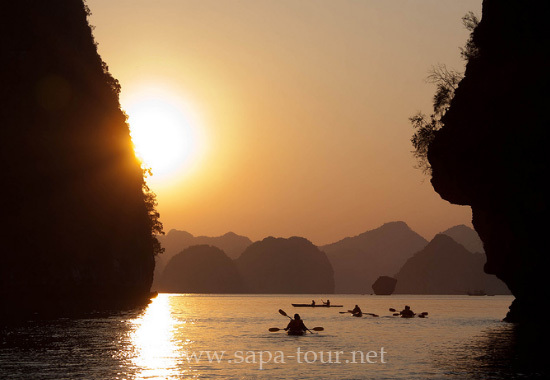 After breakfast we take a Sampan boat to explore Luon Cave. We may have a chance to see the wild monkeys that gather around waiting for food from the tourists. After that we continue to cruise around the bay. Lunch is served on the boat on our way back to the docks then we return to Hanoi. Arrive Hanoi around 16.30.